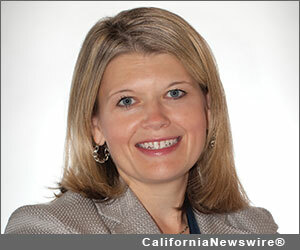 LOS ANGELES, Calif. /California Newswire/ — WH & Associates' Kelly Weppler, a Los Angeles marketing expert, will be a guest instructor alongside "Duct Tape Marketing" author and founder, John Jantsch during a three-day online seminar for business owners starting June 26, 2013. WH & Associates is an inbound marketing agency that works with business-to-business companies to enhance their online presence, to generate leads, and to design a complete customer experience that helps their clients stand out from their competitors. The agency is known for promoting a unique combination of high tech and high touch marketing in the technology space. With more than 20 years in sales and marketing, she frequently encounters business owners who are paralyzed by the sheer number of choices they face in promoting their businesses. Paired with John Jantsch, bestselling author of "Duct Tape Marketing – The World's Most Practical Small Business Marketing Guide" (ISBN: 978-1595554659) Weppler will help introduce business owners to a systematic approach to marketing that is highly-practical and proven to yield results. The goal is to help participants know which tools and tactics make the most sense for them, with a sound underlying marketing strategy to help guide their choices. This training will take place for three days starting Wednesday, June 26, 2013. Recordings of the entire 18 hours of training are available for a fee. You can access more information on this session at: http://www.creativelive.com/courses/duct-tape-marketing-john-jantsch . "It's very exciting to have the opportunity to work alongside John. I've been employing the Duct Tape Marketing principles in my business from the beginning. It's a proven system. Small business is the backbone of our economy and it's very rewarding to work with business owners to help them take their businesses to the next level," said Weppler, principal and founder of WH & Associates. "Where high tech meets high touch marketing." Started in 2008, the net result for WH & Associates' coaching and consulting clients is a departure from feeling overwhelmed by the prospect of marketing. Clients can completely outsource their marketing function or learn what needs to be done, when and how to do it themselves. For more information: http://www.whandassociates.com/ .